We’ve partnered up with the popular domain name registrar to bring you guys a great competition. 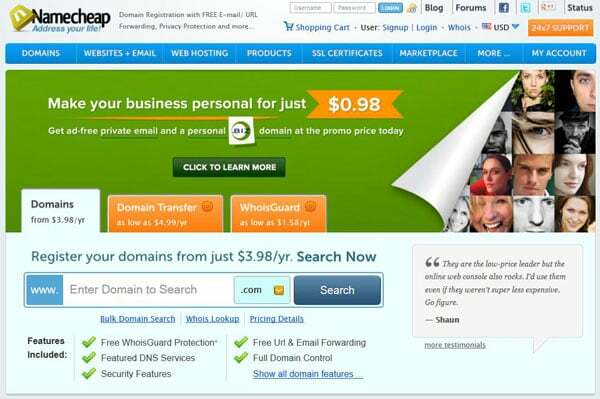 Design Web Kit readers have the opportunity to win 3 gTLD domains (.com/.net.org) courteously provided by friendly folks at Namecheap. In addition, two runners up will also get their hands on a free domain name each. Read on to discover how to win! Namecheap strives to support your online aspirations. Trusted by 800,000 users, the domain name registrar focuses on providing a reliable, competitively priced service with unparalleled customer assistance. Did you know Namecheap also offers hosting packages and SSL Certificates? The ICANN certified registrar is proud to work with bloggers and site owners across the globe. Your Chance to Win Free Domain Names! Simply comment below telling us a little about why you’d love to win free domain names! Please enter a valid email so we can get in touch with you if you are a winner. This offer is valid from October 28, 2013 till November 4, 2013. Right after this time when you come back to our blog we’ll publish the names of the 3 lucky winners. Perhaps you’ll be the one of them. Congratulations! Be sure all the winners will be contacted via emails by Namecheap team.